Yet another exciting opportunity to return to Amy’s Hallmark at Arroyo Market Square. I am so grateful to Donna Marlo for inviting me for another book signing. 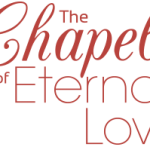 I will be promoting and signing copies of both The Chapel of Eternal Love – Wedding Stories from Las Vegas and Return to the Chapel of Eternal Love – Marriage Stories from Las Vegas, and will also have on hand copies of my cozy murder mystery, Murder Aboard the Queen Elizabeth II. Looking for that last minute Mother’s Day gift? Do hope you can stop by and support this Hallmark that is supporting local authors, and get your personalized books for your mother – or that special someone.